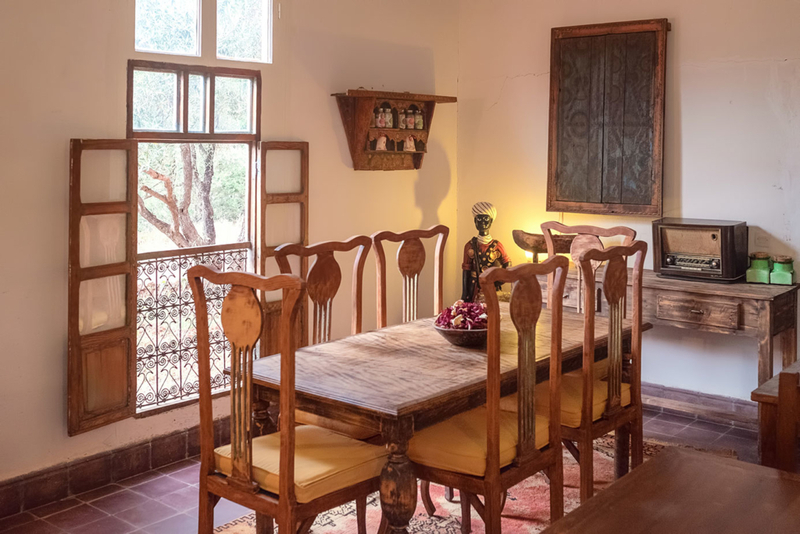 Sel d’Ailleurs is a guest house located on the former caravanserai road of Taroudant formerly commercial linking East Africa to sub-Saharan countries. 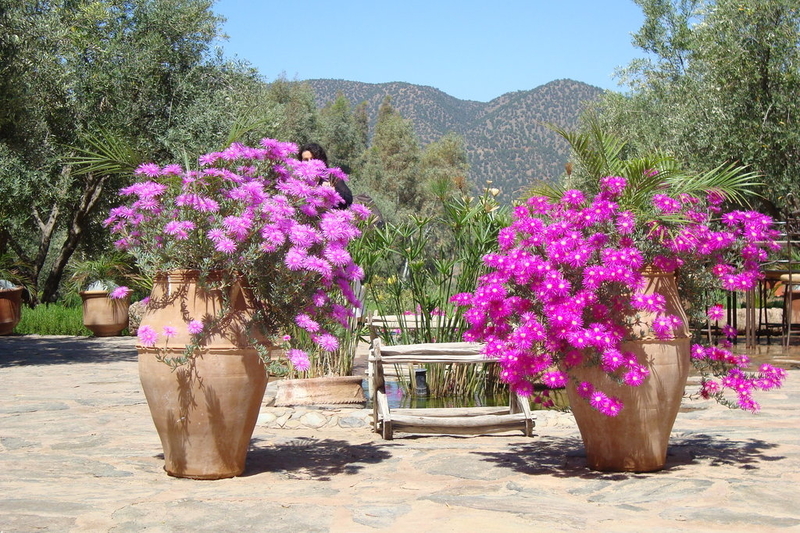 Sel d’Ailleurs is in the village of Marigha, in Berber language, Marigha means village of salt. Salt mining is one of the main activities of the inhabitants of the region. Sel d’Ailleurs is surrounded by salt works that are still operational and others that are no longer what is difficult to locate them in time, a few hundred years or more see where the inspiration of the appellation of the House. Sel d’Ailleurs is built in an olive grove of two hectares which we favor the environment more than the building by updating a vernacular architecture, using techniques of construction of other times as well as local materials. 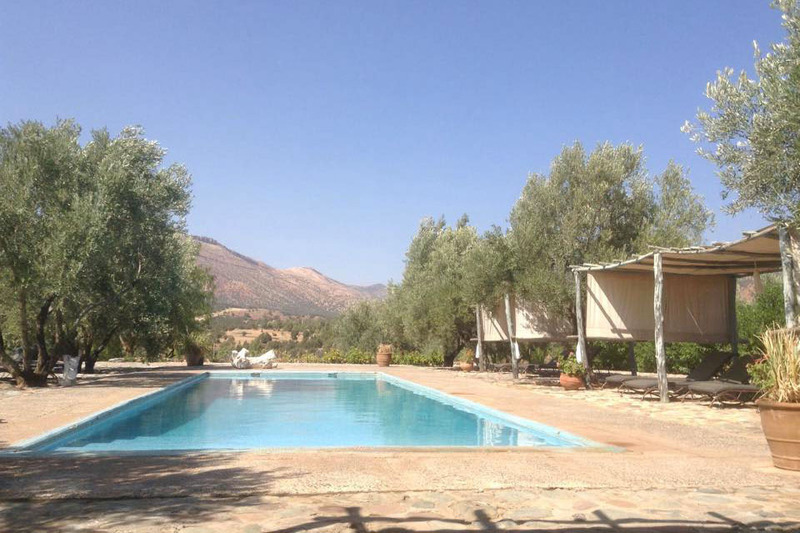 Sel d’Ailleurs, is surrounded by the Parks of Toubkal, a nature reserve, an area of water and forests and we are 4 km from Lake Marigha. 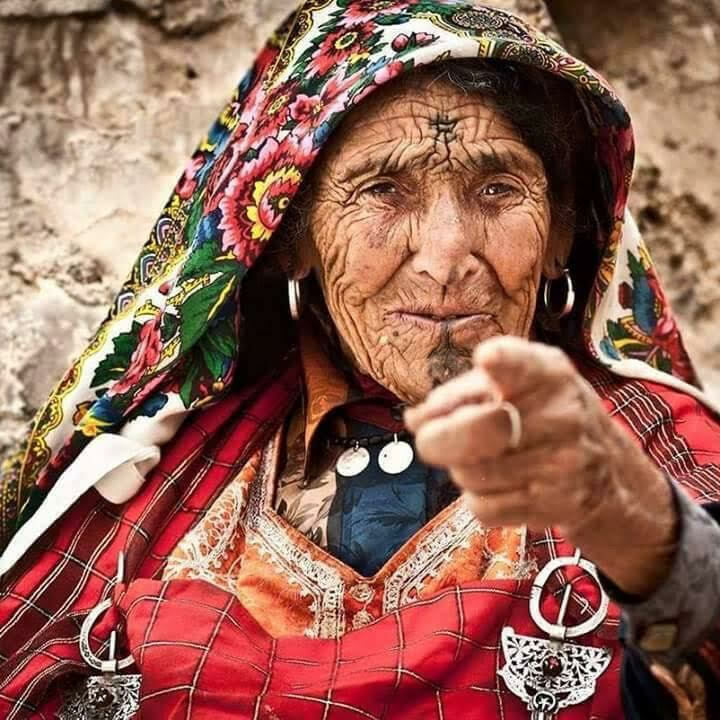 This offers several possibilities for hiking in the region and to discover authentic Berber villages. Sel d’Ailleurs consists of 9 rooms, a main building, a patio, a living room, a dining room and a swimming pool. At the same time we also develop an organic agriculture and a kitchen both traditional and creative with a possibility to leave with your basket of vegetables in season. We also offer traditional Moroccan cooking classes on request. Sel d’Ailleurs offers an idyllic setting for people who are looking for quiet and silence as well as some disciplines such as: meditation, yoga and many other sports compatible with nature in a vast space conducive to Rest to the ressourcement and the inspiration for the artists that they are writers, painters as well as the people to die of idleness.